The American Land Title Association (ALTA) exists to help our members excel in a changing business and regulatory environment. To accomplish our mission, we advocate on behalf of our members and the industry’s interests, provide education and information to its members, offer networking opportunities, and create and promote professional industry standards. 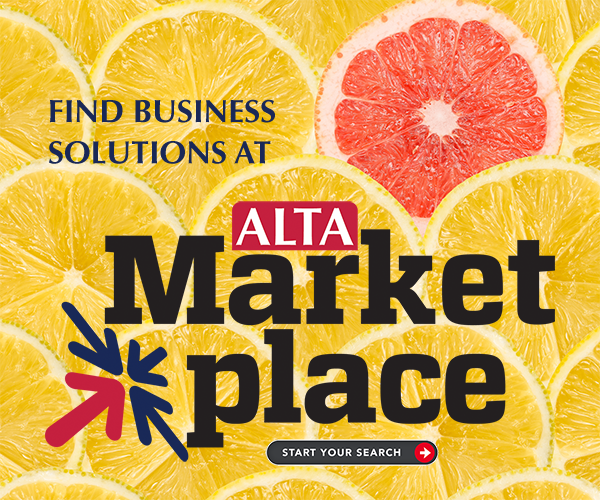 In 2018, ALTA will focus on six strategic priorities. Assist the utilization of “Our Values” to strengthen company values and culture. Serve as the industry’s cultural compass, highlight the universal core ideals ALTA members embrace, and reflect the professional strength of the title and settlement industry. Promote understanding and complying with the laws and regulations governing the industry, educating and communicating with homeowners about the benefits of our products and services, and encouraging strong, ethical corporate cultures. Serve as the hub for information on innovation in the title insurance and settlement industry. Create an Innovation Marketplace where industry participants can discover innovative solutions and collaborate in a competitive and dynamic environment. Educate our members on security threats to their businesses in a cyber and physical environment. Collaborate with coalition partners to raise consumer awareness about information security and wire transfer fraud. Promote best practices for protecting personal funds and information, and seek policy change that will protect consumers. Provide tools to help our members maintain a strong connection to the customer and put the industry in the best position to solve problems and bring innovative ideas forward. Through our Homebuyer Outreach Program, promote simple, clear communication directly with homeowners who want and deserve information about title insurance and settlement services. Increase skills of the current industry workforce and enhance knowledge about the business of title and settlement among prospective employees. Maintain and improve ALTA Title Insurance and Settlement Company Best Practices, the industry standard for compliance management programs and a critical tool for companies seeking consistent compliant service in the real estate transfer process. Promote the ALTA Registry as an industry utility to help confirm the identity of title insurance agents and real estate attorneys.